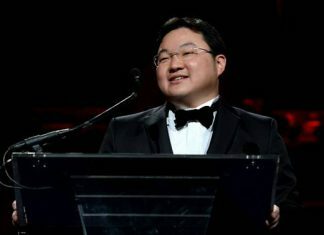 The following is a Facebook post by Mark Richmond, radio DJ at at Mediacorp Radio. I’ve waited 28 years in commentary for a moment like this. To commentate on a Singaporean winning something in swimming. So you can imagine my disappointment when news of the live coverage leaked. After all I’ve done 2 years of homework to prep for the big occasion. But instead of moping I thought maybe I would share these nuggets of information. I do this so that we can celebrate our swimmers achievements along the way in each small step. Too often we want that medal but do not appreciate the process. Well Jo (Joseph Schooling) and ZW (Zheng Wen) have got 3 big races to swim in each event before that is even a possibility. So with each box ticked I think we should also shed some light in their achievements. So here’s the stats you need to know to get behind our swimmers. 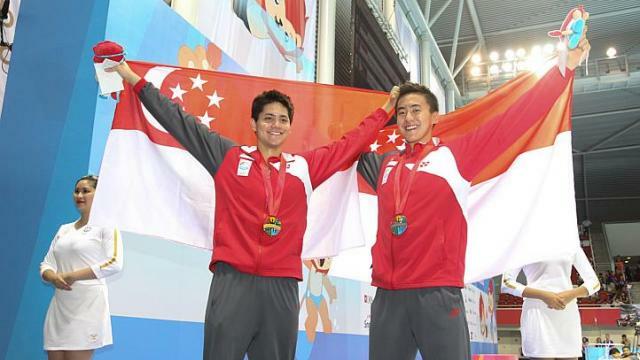 They will become the first Singaporean male swimmers to have qualified for an Olympic Semi Finals. David Lim (1988) and Ang Peng Siong (84 & 88) would have qualified for semi-finals in those Games but they did not have SF. They went straight to the B final. They would also become the first male Southeast Asian swimmer to qualify for an Olympic semis since Alex Lim did it for Malaysia in 2004 in the 100m backstroke. It would be the 3rd Olympics in a row that a Singaporean swimmer has featured in an Olympic semis thanks to Tao Li’s efforts in 08 and 2012. They would become the second Singaporean swimmer after Tao Li to feature in an Olympic semis. They would become the first ever Singaporeans to qualify for an Olympic semis in more than one event. They would also be the first Southeast Asians since Jikirum Adjaluddin (PHI) to qualify for more than one semis. Jikirum is the only SEA to manage that feat. It would be the first time Southeast Asia has 2 representatives in the semis of an Olympic swim competition since 1936 when Jikirum and Teofilo Yidefonso featured for the Phils in the 200m breaststroke. First time SEA has 2 representatives in the finals of an Olympic swim event since Jikirum and Teofilo swam the 200 breaststroke final in 1932. They would be the first ever male swimmer from Singapore to qualify for an Olympic swimming final and only second ever after Tao Li in 2008. It would be the first SEA to qualify for an Olympic swim final in 80 years. Teofilo swam in the 200 breastroke final for Phil in 1936. They would become only the third male SEA swimmer after Teofilo and Jikirum to make an Olympic final and just the fourth if you include Tao Li. Joseph has to finish 4th in one of his 2 events to make it the best ever showing by a Singaporean swimmer at an Olympic Games. Tao Li finished 5th in 2008. If he qualifies for semis in butterfly he will become the first ever SEA male swimmer to qualify for an Olympic butterfly semis. Also the first ever in that event if he qualifies for final. Tao Li was first ever SEA to make an Olympic final in 08. If he qualifies for 100 F/S final he will be the first ever SEA to make a 100F/S final at an Olympic games (male or female). If he wins a medal (fingers crossed) it will be our first in swimming. It will also be the first medal won by a SEA swimmer since 1936 when Teofilo Yidefonso won bronze for Philippines in the 200m breastroke. Teofilo won bronze in that event in 1932 and 1936. If he medals in both events he will become the first SEA swimmer to medal in 2 events in the same Olympics. If he wins silver it will be the best ever showing by a SEA swimmer at the Olympic Games. If either win gold please celebrate like there’s no tomorrow. Celebrate with a rebellion that laughs at he gave of this broadcast issue. But remember to celebrate each victory along the way. I’m sure our swimmers are as well.